Many of you may know Robert Davi. He is an iconic actor who has worked with the biggest names in Hollywood from Marlon Brando to Clint Eastwood and who’s filmography includes hits like License to Kill, Die Hard, Showgirls, and The Goonies. What you may not know, is that his love of music and friendship with Frank Sinatra has put him back on stage, taking his fans along with him On the Road to Romance. His new album On the Road to Romance is a ‘love letter’ to Sinatra and takes the listener on a journey through an iconic time in music. Davi’s current tour brings him to the Soboba Casino outside of Los Angeles this August, before heading to the Big Apple. We had the chance to chat with him about his return to music and his latest film The Iceman. 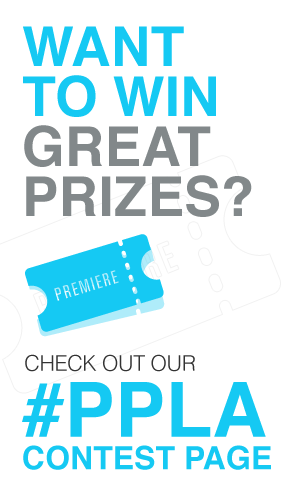 PPLA: Tell me how your mentorship came about with Frank Sinatra? DAVI: He became a friend. It wasn’t necessarily a formal mentorship. We worked on some projects together and became friends. Being an Italian-American, you grow up listening to his music and watching his films and if you had any desire to be in entertainment yourself, he was an iconic figure. He was the son of an immigrant family that came up out of that struggle and became the greatest entertainer of a century. So he was a role model. I always say there are two figures in an Italian family- the Pope and Sinatra- and not necessarily in that order. So I was getting to do my first film with him- and of course, that was a ‘big milestone’ kind of thing. Then I got to know him up close and personal. That was a lot of fun. I learned a lot from him and he took an interest in me as a person and as a friend. PPLA: Did he know at the time that you were a singer as well as an actor and that you would want to sing his songs at some point down the line? DAVI: I started out wanting to sing and study opera, as he did. You grow up loving the Italian opera and to me that was the purity of vocal art and that was my first love. It wasn’t until later that I formulated the idea of wanting to bring his (Sinatra’s) music to an album; do my own thing with it. PPLA: How did this album come about? How did you pick these twelve tracks out of all the great Sinatra songs? DAVI: Well, I did a film called The Dukes that I directed and co-wrote. I acted in it and I sang one song in the film to just get my feet wet. Then I had the idea that I wanted to go back to singing, so I started training again. I wanted to do the standards because the standards are the Shakespeare of America. I believe they’re the Golden Age of American music and every generation- as you know with your grandmother and your mother, (we spoke before the interview about how Sinatra was a big part of my childhood)- it’s handed down to people of all generations because they really respond to the music. There’s a reason why it’s classic; because of that longevity. I don’t think a lot of music has that kind of longevity now. They are ‘of a moment’ and then they kind of define a moment and stay in that moment in a nostalgic way. This music stays universal and it continues and it’s translated around the world. So I wanted to do something that I felt… in this particular time period with the economy being bad and politics being decisive- we needed something that is ‘on the road to romance’ again. Something that gave us a romantic point of view to each other and to the country and to civility. If you look at the song that won an the Oscar in 1957, it was “All the Way” (performed by Frank Sinatra) and a few years ago what won the Oscar was “It’s Hard Out Here for a Pimp”. So you juxtapose that and you wonder why the culture has such dissidence. PPLA: You mentioned that you wrote and directed. Do you have plans to continue writing and directing as well as act and sing? DAVI: Eventually…I wrote a new script that Mark Canton (300, Immortals) optioned and we’re going to do that. It deals with The Voice (Sinatra) and I’ll plan on doing more of that. I’m writing a new script now with my friend too. PPLA: There are some actors that can sing and some singers that can act…you started out as a singer but are known as an actor, do you personally affiliate more with one than the other? Or do you consider yourself equal parts both of those talents? DAVI: In acting you’re certainly using yourself but you’re using a certain part of yourself. With the music, you’re using the totality of yourself. You’re really using a large part of yourself. You’re defined by a certain character in a script and you have to play within that limit. Even though a song has its own structure and melody and everything else, you are able to use all of yourself in that music. PPLA: Do you write some of your own lyrics? DAVI: I’ll probably flirt with it and see what happens! PPLA: You were just at the Venetian Hotel in Las Vegas and you have a show at Soboba Casino on August 18th. When you perform, do you try to put your own spin on these songs or do you try to stay true to the style of Sinatra? DAVI: To me, this is like the Shakespeare of America so let’s look at it like the opera, let’s look at it like Shakespeare. If all of a sudden you go to see Hamlet, are you going to do a foreign adaptation of it? When they do that, it distorts the structure and the essence of Hamlet. If you have the classical skills, you can approach that material, and also the opera, in that classical condition, in a certain kind of benchmark that’s already been made. To me, that’s where Sinatra left his mark because he’s the epitome of creating that style. Other people who don’t have the vocal depth that he had or the interpretive ability that he had, they do it differently and stylistically do different things with it. To me it’s fine, but it doesn’t maintain the purity of the song. I try to maintain that when I approach it. PPLA: What do you want your album to convey to Sinatra fans? DAVI: Because the album is called On the Road to Romance, it is all the different aspects of romance from the elation of meeting, to the seduction to falling in love, to falling out of love and into the despair of love, and then the rebuilding of self. So there is that little theme and the other thing is that it also echoes the way we feel toward America. There’s also a theme of man’s love of his own self-discovery. Some of the songs like “I Got the World on a String” which was the first song Sinatra sang after winning the Oscar for From Here to Eternity and the first capital song he did with Nelson Riddle, are more of a benchmark thing. There is “The Wee Small Hours” which was a song where the string section on that was a bit revolutionary for its time. “All the Way” won the Oscar. “The Best is Yet to Come” is the last song Sinatra sang in public and it’s on his tombstone. So the album also has those significant moments that I chose. PPLA: I have recently been in Vegas covering shows and there is a kind of a movement out there to bring back that Rat Pack style and swagger. How do you feel about that? DAVI: I think it should be a city that has a classical touch to it’s beginning. It should never lose the touch of it’s beginning and then it can morph around that, but it should stay to that tradition in a certain way. The youth can find it but they don’t know how to make that transition. They don’t know how to market that transition so it’s become a different thing. It takes an identity and it takes a few different elements to create that whole thing. PPLA: Speaking of identities, you’ve played some very classic roles on screen. Do you have any favorite movies you worked on that stood out in your career? DAVI: There are those like Bond- License to Kill. It is the 50th anniversary of Bond this year and Bond is the most successful series in the history of film so that’s an absolute thing. Die Hard is a classic kind of film. Goonies is a cult classic. Showgirls and Son of Pink Panther were both very popular. There are other ones, B movie Horror Classics like Maniac Cop Series that find an audience. PPLA: What draws you to a character or a script and makes you decide to go after a role? DAVI: It’s a variety of different things. Sometimes the director, sometimes the character. You’re more at the mercy of a lot of different people except when you’re writing or directing your own material. Then you can have a say, you can have your personal stand, otherwise you could be so selective you never work. So many parts are offered to ‘whomever’ and you may or may not get on that list for films so you can’t always be choosy. PPLA: Are there any roles you haven’t played that you would like to play? DAVI: Yeah I’d like to play Christian Grey in “Fifty Shades of Grey” (laughs) but i’d never be able to play it! PPLA: You have several projects coming up including The Iceman which has an incredible cast. Tell us about what we can expect. DAVI: Yes, Chris Evans, Michael Shannon, and Ray Liotta are in the film (along with James Franco, Winona Ryder, David Schwimmer and Stephen Dorff!). I met the director Ariel Vromen- he’s a very talented director and we met at a party. He said I want you to come in and play one of the leads of this film, so that’s how it happened. I play one of the Captains of the Gambino crime family. It’s based on a true story about Richard Kuklinski who is the Iceman so I think it will make a good film. I’m hoping it will and I think it will because I saw it and was very impressed with how it turned out. He did a beautiful job directing and Michael Shannon and all the actors were terrific in it. PPLA: You also have Raging Bull 2 coming out which has been a bit controversial. Scorsese and DeNiro have both questioned the making of a sequel. Do you have any thoughts on that? DAVI: Martin Scorsese is a good guy and the original is a great film. Imagine Raging Bull, which was a brilliant film, is almost like the negative in black and white, and with this film we are filling in the colors. Doing the film in color with some different story elements, some of the before and after. I think it’s going to be great! PPLA: What about The Hunchback? That’s based on the classic novel and you’re attached to that. DAVI: That’s been in the works for a while but I am not sure when that is going to happen yet. You never know. PPLA: You also made a TV appearance on Criminal Minds recently and they used one of your songs from your album in the show? Tell me about that and if you have plans for more TV work. DAVI: Yes, I had a role on the show and they heard my music and asked if they could use one of my songs, which they did in a different episode. As for TV, perhaps more work in the fall. We’ll see! PPLA: What do you want your fans to know about you? DAVI: On August 18th go to Soboba Casino in San Jacinto, CA. It’s in Riverside County. If you’re not in town, get the album Davi Sings Sinatra and I think you’ll be pleasantly surprised and you’ll enjoy the music. I am very passionate about the music. It is not often you get to interview such an iconic film actor and even rarer to talk with him about a music legend. It was our privilege. Visit DaviSingsSinatra.com for the latest tour and ticket information.